Security Memetics: What? No Disinfectant? 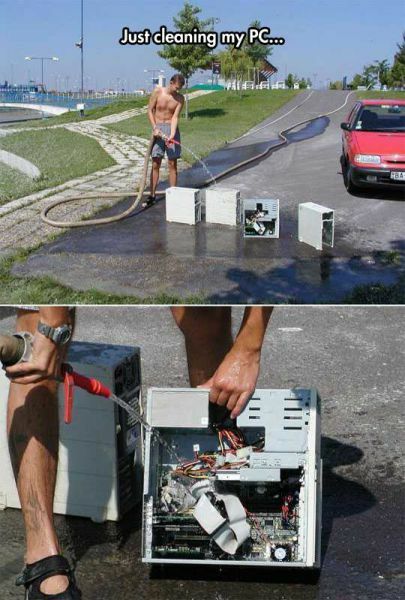 Have you ever had a computer that was so messed up that you didn't even want to touch it so you hosed it down instead? Maybe you should exercise more control over where your computer goes, then.